Lake Margaret 3+1 bedroom home on quiet cul-de-sac offering incredible back yard oasis with lush landscaping, 2 large expansive decks with pergolas, hot tub, solar lighting, flagstone walkway and pond with goldfish, waterfall and water lilies. Impressive open concept main floor will take your breath away, with luxury finishes including hardwood floors, quartz fireplace feature wall, high-end cabinetry, top of the line stainless appliances, premium light fixtures and generously sized pantry. Custom deacons bench in the garage doubles as your mudroom with inside entry to the foyer. Spacious master suite with his and hers closets and en-suite. Second floor laundry with front loading stainless washer/dryer. Lower level adds 4th bdrm, 2 piece bath, inviting family room, and two storage rooms. 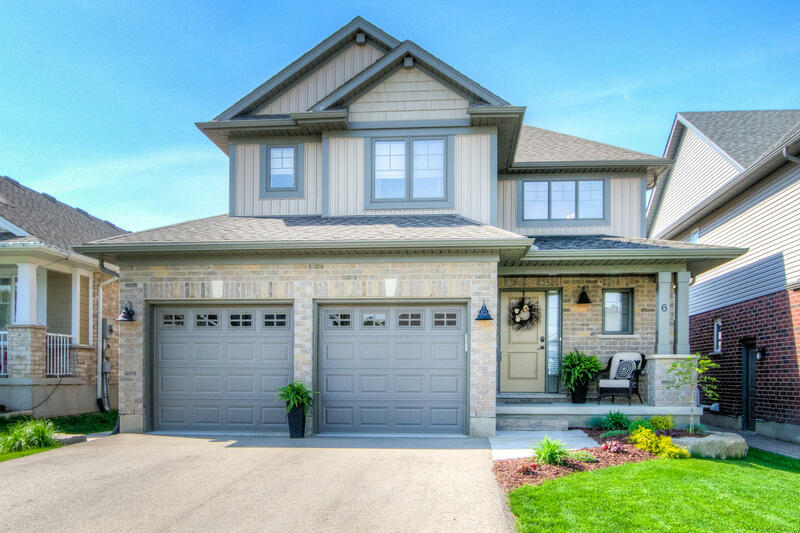 This 3 year old Doug Tarry home is better then New with impeccable style inside and out! Approx 20 min to London & 10 min to Port Stanley.